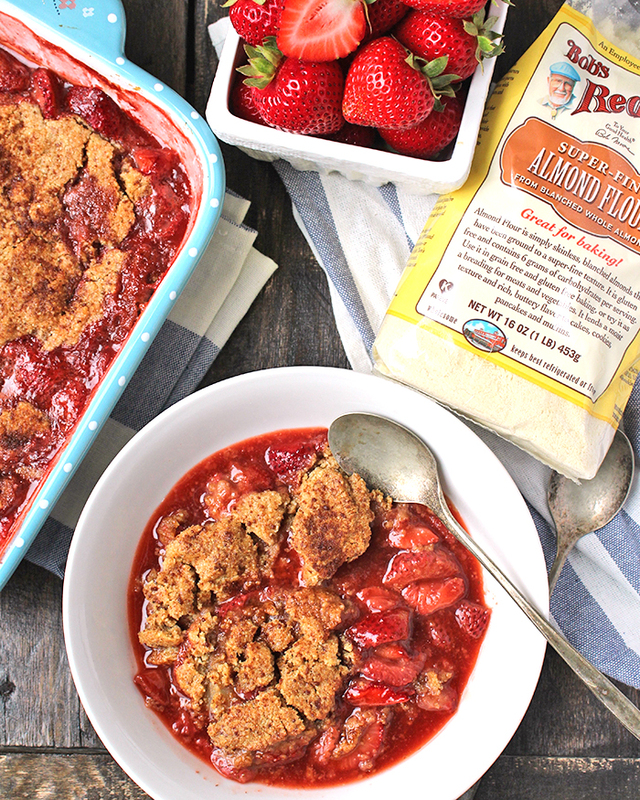 This Paleo Strawberry Cobbler so easy to make and a great summer dessert! Packed with sweet strawberries and topped with a crispy on the top, soft in the center dough- it is so delicious! Gluten free, dairy free, naturally sweetened with a vegan option. This post is sponsored on behalf of Bob’s Red Mill. All opinions are 100% my own, of course! Thank you for supporting brands that help make Jay’s Baking Me Crazy possible! I have been pretty strawberry obsessed this year and I always have some in the fridge. I thought maybe I should bake with them instead of just eat them by the pound. 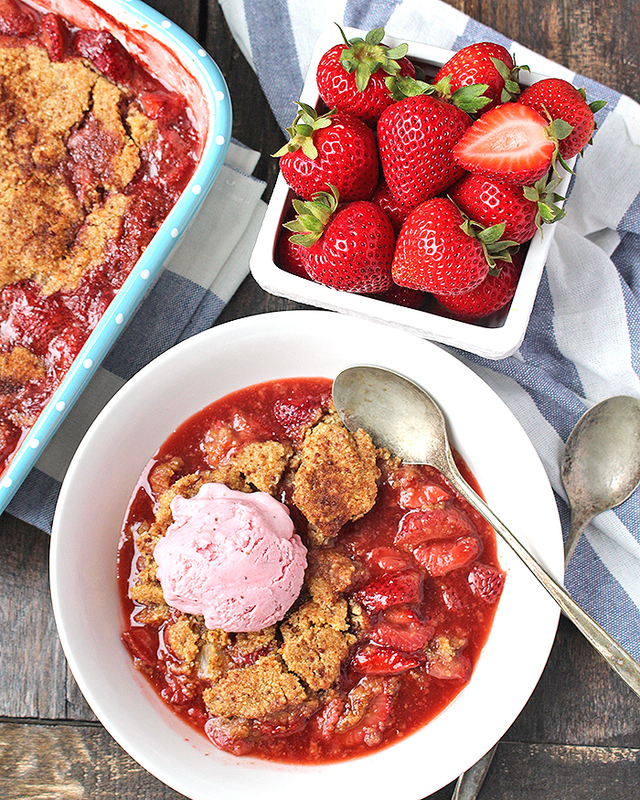 This strawberry cobbler is the perfect treat because it is super easy to make and it really lets the strawberries shine. I love how cobblers are pretty hard to mess up. The filling gets a little runny as the strawberries cook down and release their natural juices which means it’s best served in a bowl. The topping is super simple and bakes up a little crispy on the top, but soft in the middle. A scoop of ice cream is always a good addition. I used strawberry since that’s what I had in the freezer, but vanilla is classic. Using Bob’s Red Mill almond flour and tapioca flour makes this gluten free and using coconut sugar makes it completely naturally sweetened. I used ghee in the topping to give it a buttery taste, but coconut oil could easily be used to make it vegan. 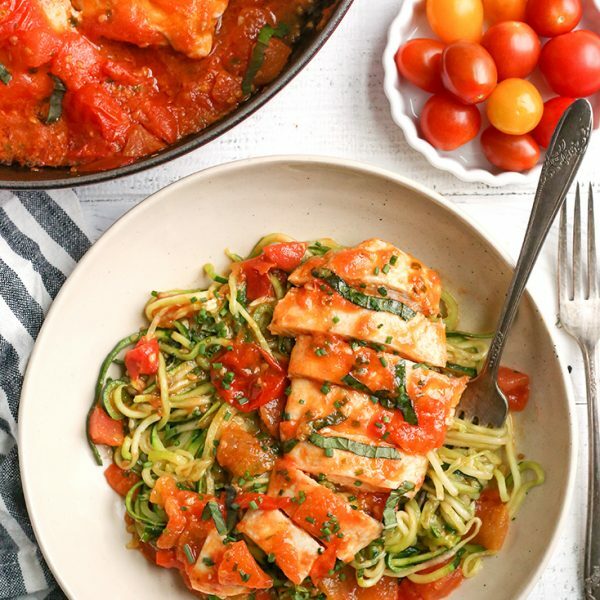 This is a healthier version of a popular summer treat, but still tastes incredible! My daughter is funny. She’s not big on desserts I make (!!! ), but absolutely loves strawberries. I caught her taking some from my table and it was the cutest! Preheat oven to 375° and get out a 9x9 baking dish. 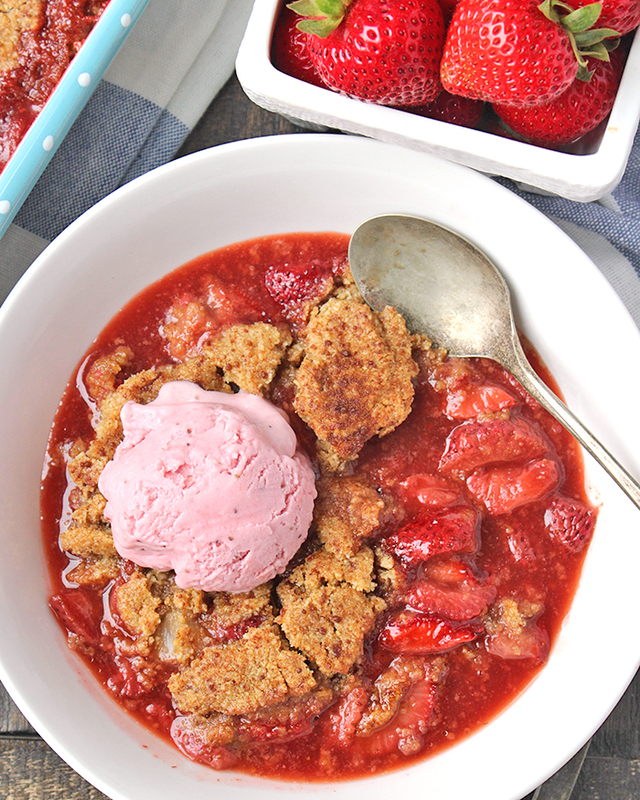 In a large bowl, combine the strawberries, coconut sugar, lemon juice, salt, and tapioca flour. Stir gently until strawberries are evenly coated. Pour into the baking dish. In a medium bowl, combine almond flour, tapioca flour, coconut sugar, salt, and baking powder. Stir until evenly mixed. Add in the ghee, almond milk, and vanilla and mix until everything is combined. Split the dough into fourths and make each section into a flat circle and place on top of the strawberry mixture. It doesn't need to be perfect, but each section of dough should be around the same thickness to bake evenly. 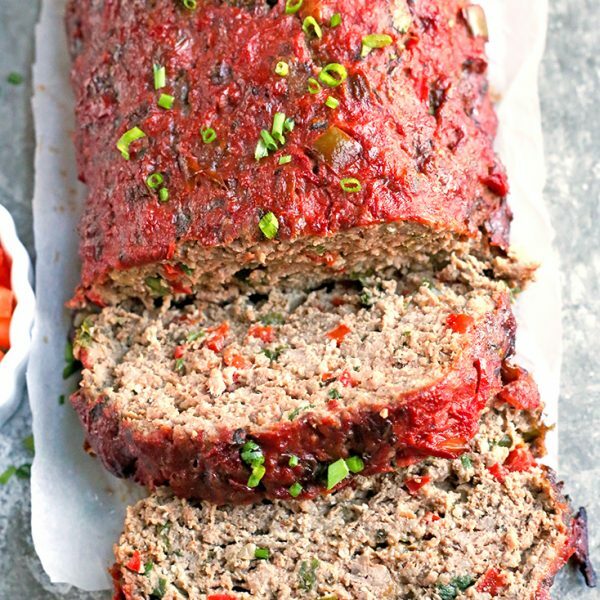 Bake for 35-38 minutes. 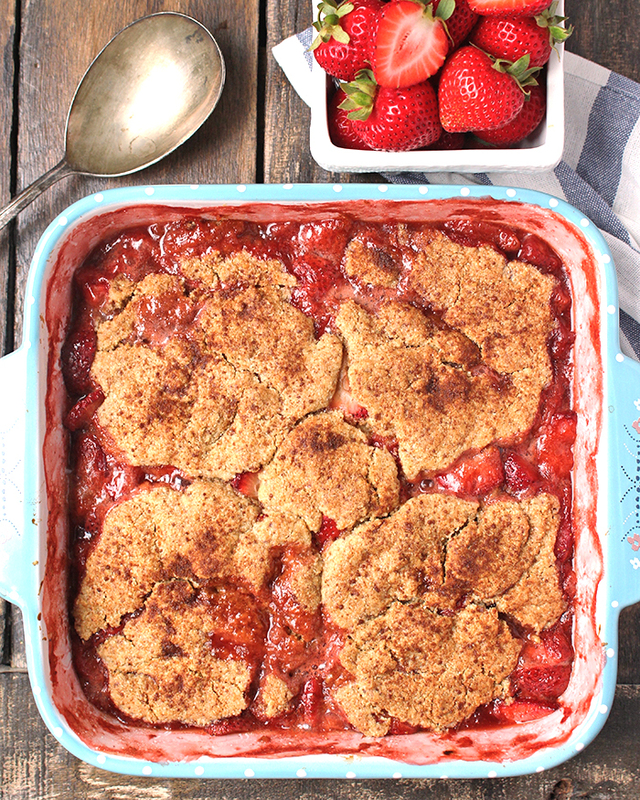 The strawberry mixture should be bubbly around the edges and the dough should be golden brown. 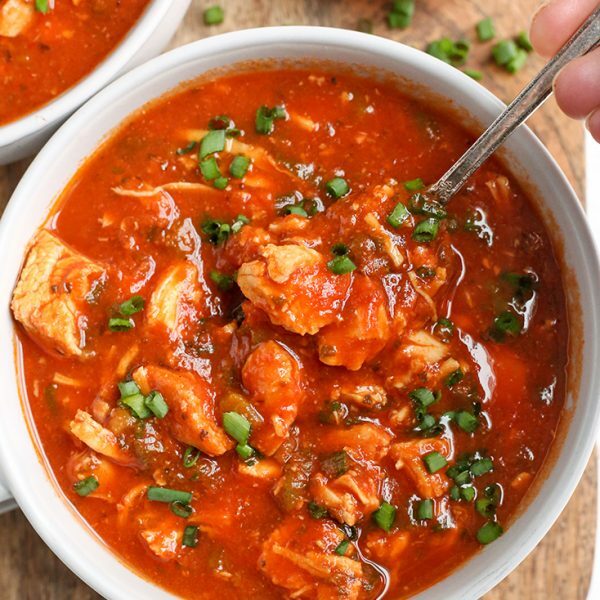 Best served immediately, but can be stored in the fridge up to 3-4 days. What dreams are made of! That toasty almond meal crumble looks suuuhh good! 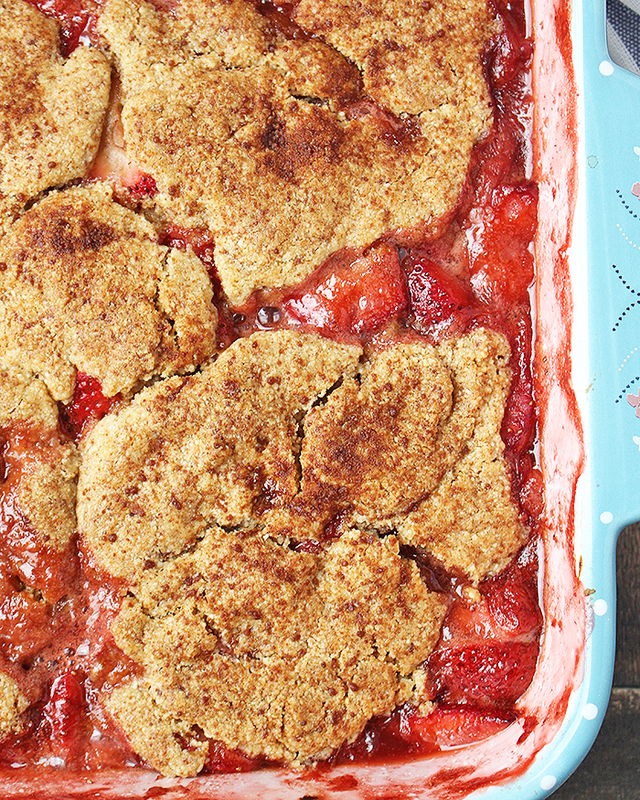 This cobbler looks so yummy. I think I’ll skip dinner and head straight for dessert. Haha! That sounds like a good idea! Thanks, Anya! These photos are amazing, drool worthy for sure! 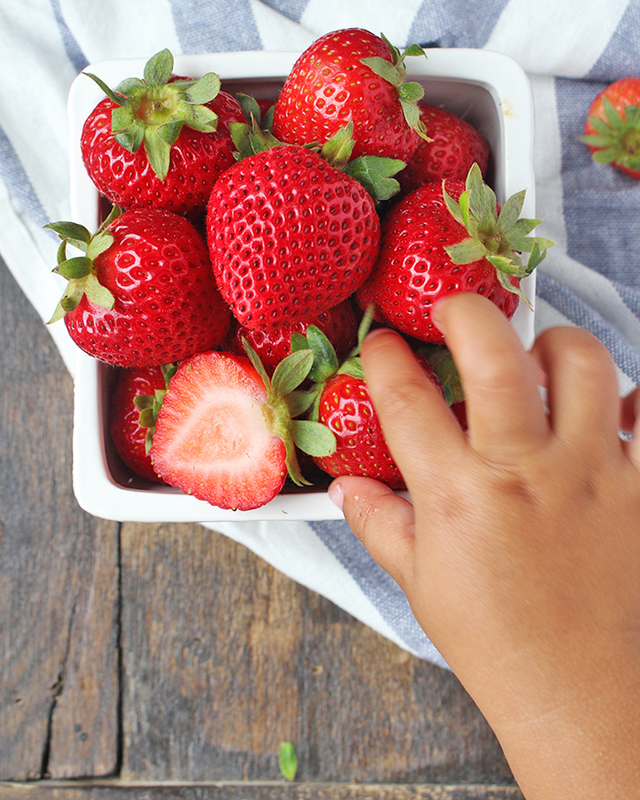 I love berries – strawberries are superb at this time of year. With this combo of ideas – a delight!!!! Wow, this is so tasty and bursting with beautiful berries! 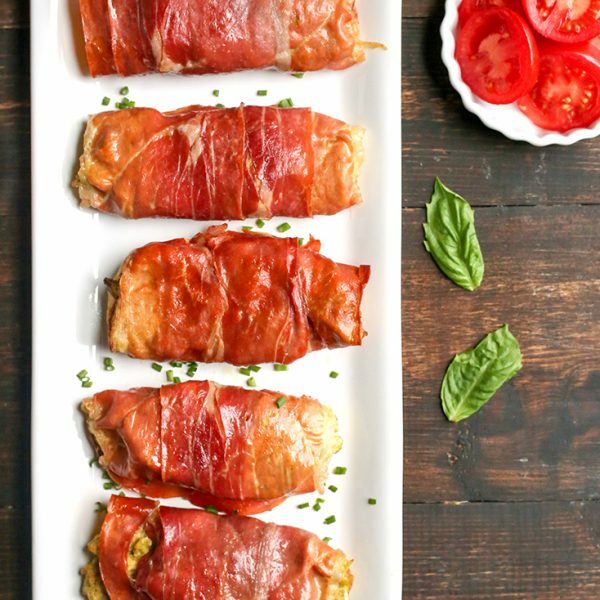 On my list to try! Thanks, Stacey! I think you’ll love it!